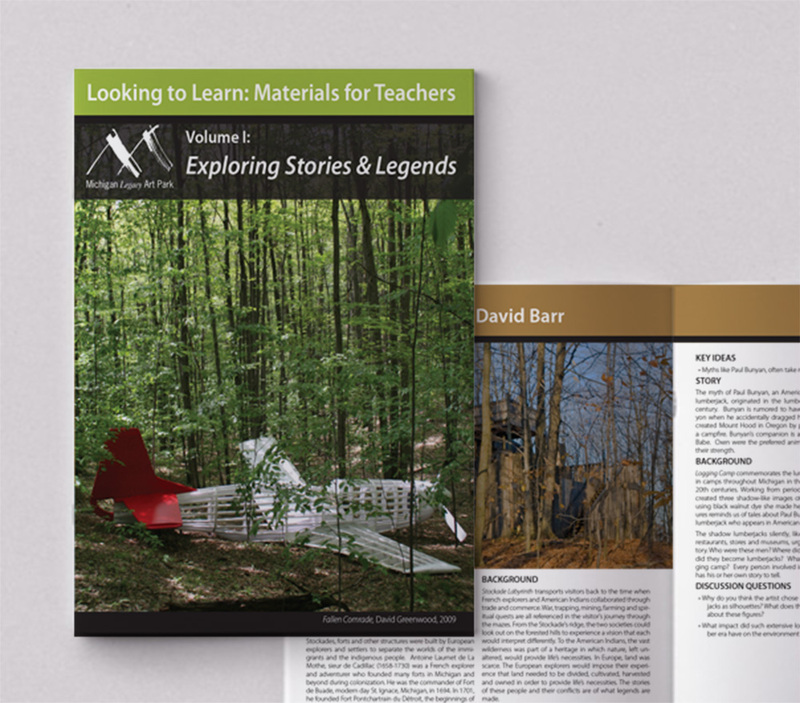 Here are some easy downloadable activities and lesson plans from Looking to Learn Vol. 1: Exploring Stories and Legends. Teachers may download and implement the ideas in the classroom. Third Grade ART.VA.II.3.1 Apply materials and techniques to problem solve in thecreation of art. Fourth Grad eART.VA.I.4.4 Prepare, present, and collaboratively evaluate personalartwork. Fifth Grade ART.VA.I.5.4 Participate in the process and delivery of a final product forexhibition or presentation. Eighth Grade ART.VA.I.8.3 Select and apply visual characteristics and organizational principles to communicate effectively when designing and solving creative problems. High School ART.VA.II.HS.2 Create artwork using materials and techniques with skill sothat personal intentions are carried out.ART.VA.II.HS.7 Create collaboratively to resolve visual problems.